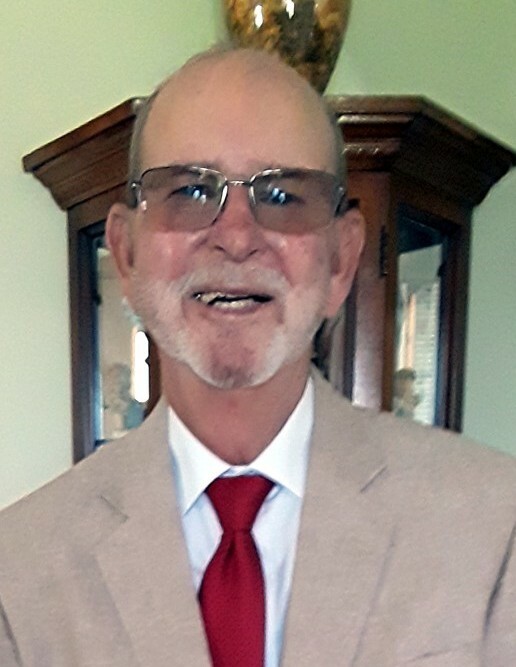 James “Jim” Faires Crumpton 78, of Town Creek, AL passed away Saturday October 20, 2018 at his residence. Visitation will be from 1:00 PM till 3:00 PM on Monday, October 22, 2018 at Old Liberty Church. The funeral service will follow at 3:00 PM with Larry Crumpton officiating. Burial will be in Old Liberty Cemetery. Jim was a member of New Liberty Church in Loosier, AL. He loved his family, gardening, golf, arrowhead hunting,fishing and Alabama football. He was retired from Freight Management. Survivors include his wife Patricia Ann Crumpton; sons, Wade Crumpton and Tommy Crumpton (Donna); daughters, Teresa Blaxton (Jessie), and Kelly Crumpton Hagood (Stacy); 13 grandchildren and 25 great grandchildren; sister, Annie Basham (Gene); brothers, Larry Crumpton (Judy) and Murrel Crumpton (Kathy); numerous nieces and nephews; and his precious dog “Daisy”. He was preceded in death by his parents, Veto and Mable Yarbrough Crumpton; sister, Doris Little; and brothers, Joe Crumpton and Mike Crumpton. Pallbearers will be grandsons, Todd and Kyle Crumpton, Ryan and Tanner Crumpton, Bo Culver, and Chris and Cody Hagood.